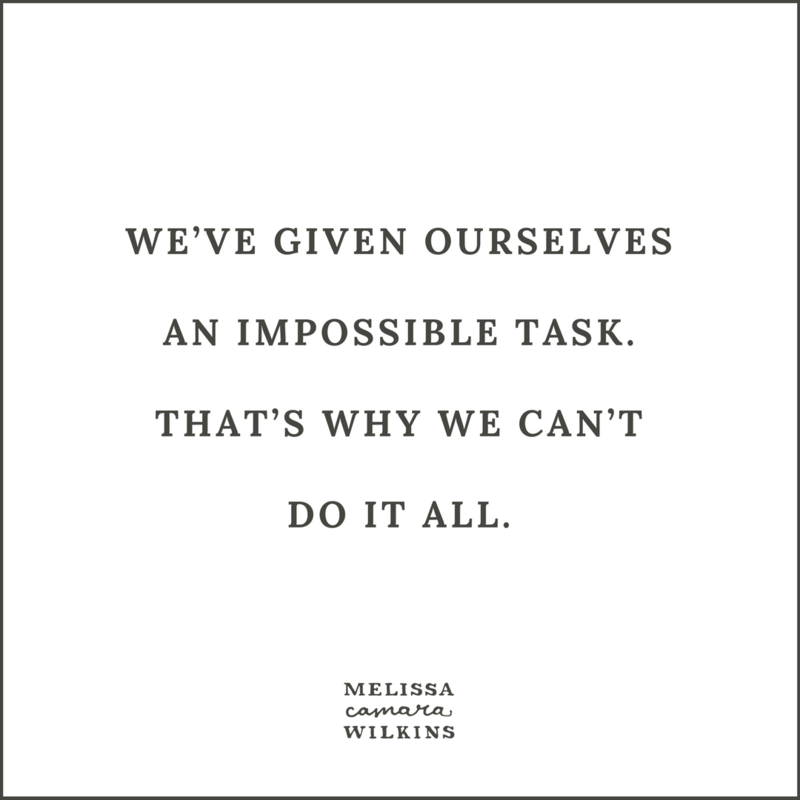 I know you don’t “do it all” but… HOW DO YOU DO IT ALL? How do you manage being a wife and a mom and homeschooling six kids (six?? I have TWO and I have no time!) and doing everything else, like having friends, or getting work done, or doing stuff just for you? How do you find time for everything that matters? I want to ask you a question, my friend. Stick with me here. Do you remember the fairy tales where an Evil Witch would set for our hero an Impossible Task? If you can do this Impossible Thing, she would say, you may marry the princess, or you may pass through the forest, or you may live. Did you ever read those? Okay, let’s go Technicolor: remember in The Wizard of Oz, when Dorothy wants to go home to Kansas? Remember what the Wizard tells her? He gives her her own Impossible Task. She just has to bring back the broom of the Wicked Witch of the West or die trying, that’s all! No biggie. Dear friend, do you see what we’ve done? We’ve become the Wizard of our own lives—and the Dorothy. We’ve given ourselves an impossible task. That’s why we can’t do it all. We’re convinced that everyone else is doing it, though, so we keep looking for the magic bullet that will let us get things done. But there is no magic bullet, because it would take ACTUAL MAGIC to do it all. I don’t think we need magic to live our lives well. That wouldn’t make sense. We must be able to be the people we’re meant to be without using a time-turner or exploiting a glitch in the matrix. But the world does kind of conspire against us on this one. There are always, always going to be more good things—maybe even more necessary things—to do than there are minutes in a day. I don’t have all the answers, and I absolutely don’t do it all. But even if you don’t do it all, you still have to do SOME things. So how do you get to all the things you DO want to do? Let’s talk about that. I used to fall into bed every night super aware of every single thing I had left undone. I would lie awake thinking, There’s never enough time! There’s never, ever enough time. When I finally started listening to myself, I realized I had to find another way of doing things. Instead of making a to-do list of EVERYTHING, I make a list of just the three things that will be enough for today. Those get my attention first. Everything else can happen around the edges of those three things. I’m okay with not getting to everything—because if I don’t, I’ll still know I gave my attention to what mattered most to me, and that has to be enough for today. Spoiler alert: it never worked the week after, either. It just didn’t fit alongside everything else in my week. For awhile, I felt like a terrible friend, because the story in my head is that I have to do all the things that matter, all the time. Being a friend matters, so I thought I should be available all the time. If there were six of me, I could probably make that work! But alas, I have only one self and no clones. This one took me awhile to wrap my head around, but I promise it is true: You can do everything a little bit less, and it still counts. Can I spend a day at the beach with my friends once a week? Nope, not going to happen. I can’t do it. What I can do is meet up for coffee once a month or so, and text and email in between. But guess what? We’re still friends. I don’t have to be a friend in person all day, every day. Small and imperfect still counts. When my older kids were small, I would do creative work after I put them to bed. But they got older and so did I, and their bedtimes got later, and now if I try to write after they’re in bed, I just end up staring at the screen, typing and deleting the same words over and over again. Some things (diaper changes, toddler meltdowns, deadlines) you can’t schedule. But for everything else that matters to me, I get to choose how and when to make those things happen—and choosing the right time makes a huge difference in what gets done. Instead of managing my time, I try to plan around my energy. I focus on creative work, for example, at times of day when my brain is actually turned on. If I plan to write when I write best, I get more done, faster. It’s not perfect, but matching my activities to my energy level is the closest I’ve come to scheduling magic. That means you’re going to say no to good things, and saying no means you’re going to disappoint people. I wish this wasn’t true, because I hate to disappoint people. (I may have a teeny little tendency toward people-pleasing.) But it’s part of the deal, as far as I can tell. Right this moment, I’m disappointing my kids by saying no to taking them out for ice cream. Actually, at most hours of the day I am disappointing at least one of my kids by not taking them out for ice cream. It’s an ongoing sort of request. Disappointing people feels awful. 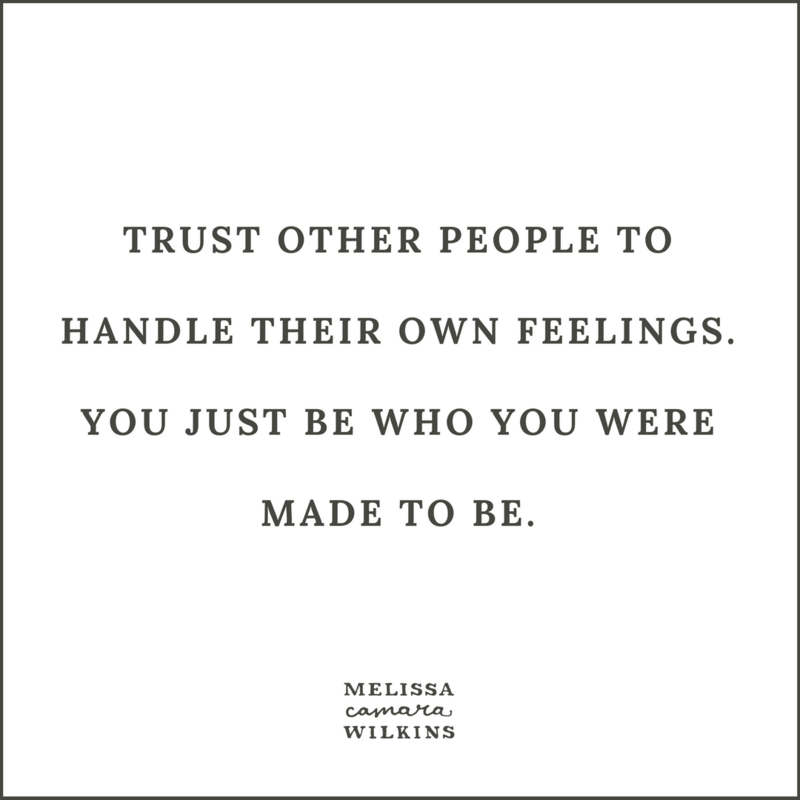 And yet… you can trust other people to handle their own feelings. You’re going to disappoint people, but you are also going to be true to who you were made to be. I don’t know about you, but that is a trade-off I am okay with. You’re never going to arrive at the place where everything is perfect, you have exactly enough stuff for minutes in the day, and now you can stay there forever amen. (Or at least, I have never reached that state of perpetual-time-for-everything-that-matters nirvana.) It’s an ongoing negotiation of priorities and people and needs and desires and sleep. Or desire FOR sleep. Or both. So pay attention to your priorities. Pay attention to your energy. Pay attention to your expectations. Pay attention to your feelings. 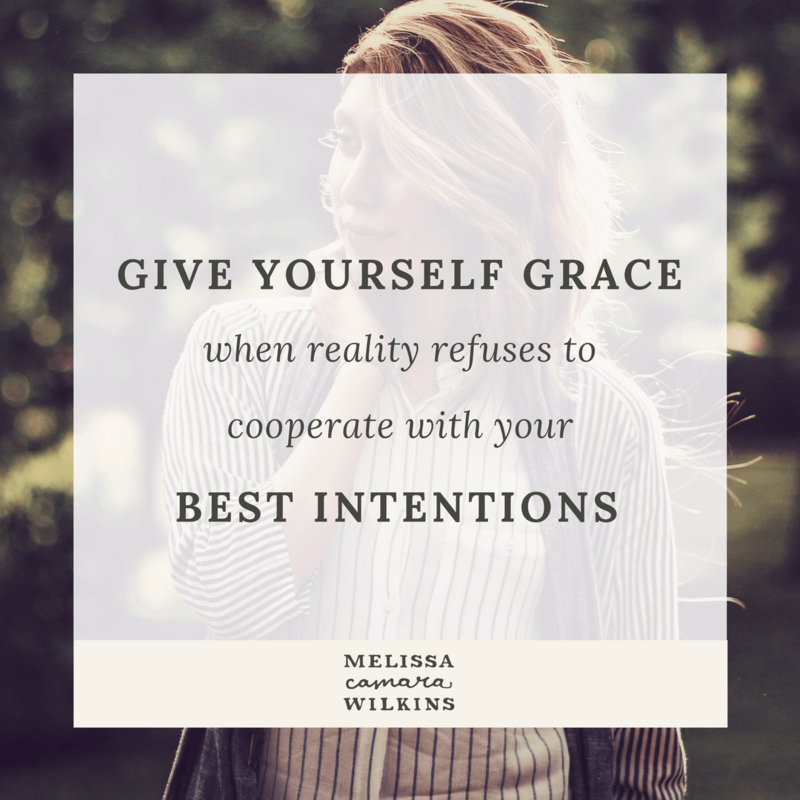 But give yourself grace for all the ways that reality refuses to cooperate with your best intentions, too. Because the other option—the Find Extra Hours In Your Day option—does not exist. That task is impossible, and you don’t need any more impossible tasks. Tell the wizard to come out from behind the curtain and retire already.